Our certified dental staff at Rockefeller Cosmetic Dentistry use metal-free composite fillings to restore teeth damaged by decay in the same way that amalgam fillings are used, but because composite fillings are “white”, “tooth-colored” fillings, they have a better aesthetic appearance, as they blend in with the surrounding natural tooth much more seamlessly. What Are Metal-Free Composite Fillings Made Of? The composite material is a combination of tooth-colored plastic and glass materials that are applied in layers. Each layer is hardened with a specialized light before applying the next. When the layers are all applied, your dentist will then shape the surface so that the tooth will fit correctly before polishing it to prevent staining and wear. In addition to being used is fillings, the material is also used in other cosmetic procedures that improve the smile, such as reshaping teeth. Though they are more expensive than amalgam (“silver”) fillings, metal-free composite fillings are ideal for any teeth that are highly visible, and is often used to fill cavities in the front teeth. 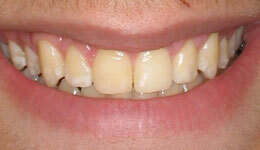 Most dental insurance plans cover composite fillings, especially when needed on a visible tooth. 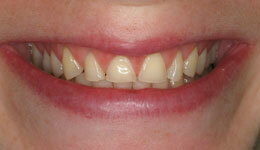 Traditional metal fillings are easily visible in the mouth, especially when the front most teeth are being restored. 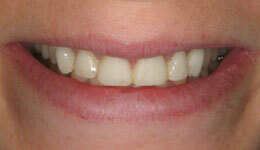 The biggest advantage of composite fillings are aesthetics. Not only is the material white instead of metal, the shades of the composite can be blended to match your natural teeth, usually making the presence of the composite virtually undetectable – even on a front tooth. With our expert color-matching system, we can match our restorations to the shades of your teeth exactly. They are fully hypoallergenic and does not contain mercury or any other toxins. Also, unlike traditional metal fillings, the metal-free composite material chemically bonds to the teeth structure, which provides additional support to the tooth. They cost more than traditional amalgam fillings. They tend to wear out quicker than traditional metal fillings, especially when you have heavy wear from chewing and teeth grinding. The composite material is not strong enough to withstand too much stress, which can cause stress fractures or chipping. They do tend to stain if they are exposed to food or drinks with staining properties, such as coffee, tea or red wine. The procedure time is longer because there are additional steps needed to ensure success. The area must be dry before inserting the composite material. If there is any moisture, such as saliva or blood, the filling will most likely not stay in the tooth. Amalgam filling is the most common material used to fill cavities. Over the years, concern has risen because it contains mercury. Amalgam is produced with an integration of several metals. These metals include copper, tin, silver, and mercury. It is a very durable material, especially for teeth that undergo an immense amount of pressure from chewing or teeth grinding. Amalgam fillings can be removed, but it is recommended to only remove them when they are worn out or damaged. Removing good amalgam fillings can result in unnecessary loss of the healthy tooth structure and exposes you to additional mercury vapor during the removal process. 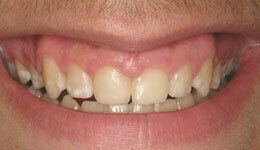 We can help you decide if a composite filling is best for you. When you come in for a consultation, we will examine the location of the cavity in the mouth, as well as the size of the cavity, and discuss your history and cosmetic concerns. We will present you with all of your options, and then discuss them with you to help you decide which kind of filling is best for you. Call our Midtown cosmetic dentist office at (212) 581-1091 to book your appointment today!